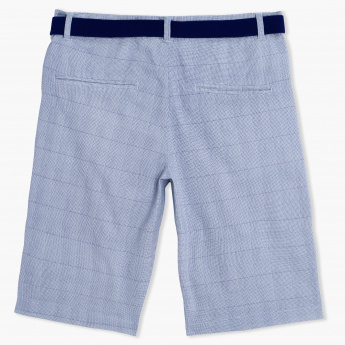 Choose this smart pair of bermuda shorts for your boy to make sure he is relaxed on outings. 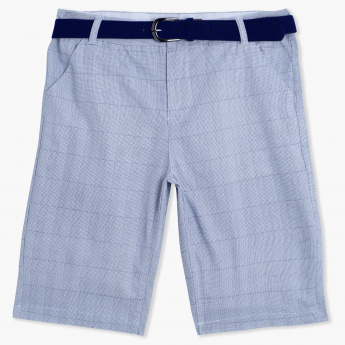 The soft breathable chequered fabric with its simple button closure with zip makes it convenient to wear. 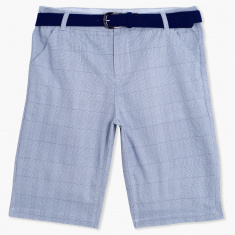 In addition, it comes with a belt.